Our guide below shows you what we think is the best way to adjust and tune your rear indexed gears. We've included a list of the tools and materials that you will need to complete the job and in some cases where you can buy them. If there are others that you prefer then feel free to let everybody know in the comments below. Indexed gears require accurate cable tension to deliver crisp, clean gear shifting. An under- or over-tensioned gear cable will throw the shifting out. The difference between perfect shifting and skipping can be as little as a single millimetre of cable so make small adjustments of a quarter turn to screws and barrel adjusters and test the effectiveness of the change before making further changes. 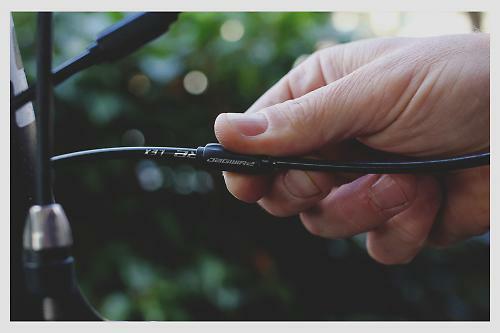 If your bike is relatively new, or even if only the gear cable is, there’s a good chance that the metal inner cable has developed some slack (often referred to as 'stretch' although technically it's bedding in, as the cable ferrules, housings and stops all snug up to their minimum length). This is often enough to throw gear shifting out. If the gear cable has developed slack, you’ll need to remove it by pulling the inner cable through at the derailleur clamp bolt (see below). 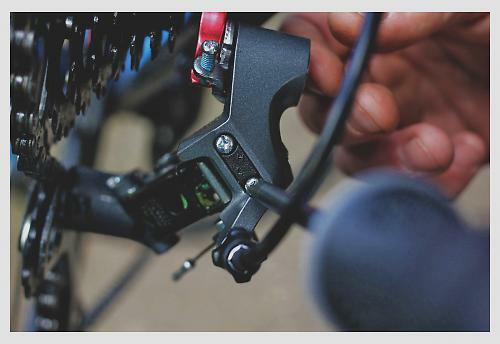 You might also find that over time, cable tension adjustments have used up the range of adjustment provided by the barrel adjusters (at the derailleur and/or at the shifter depending on how your bike is equipped). As you can see above, this rear derailleur barrel adjuster is almost all the way out. This needs resetting at the cable clamp bolt (see above). With the cable tension removed at the cable clamp bolt, re-set the barrel adjusters. Screw them all the way home (clockwise) into the derailleur or shifter body. Then screw them out (anticlockwise) one full turn. This will give you leeway to make fine adjustments in either direction as required. With the tension removed from the cable, turn the pedals. The rear derailleur should move the chain to run on the smallest rear sprocket, and the upper jockey wheel of the rear derailleur should be directly underneath the smallest sprocket. 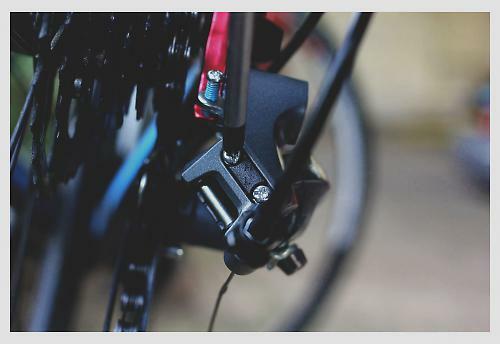 If it's not, make any adjustments necessary to sort out this alignment with the set screw marked 'H' on the derailleur body. Turning the screw limits the extent to which the rear derailleur cage, and therefore the chain, can move outwards. Turn the screw anti-clockwise to let the derailleur move further out. Setting the low gear limit so you can shift cleanly onto the largest rear sprocket is important because failure to do so can allow the chain to over shift off the top of the cassette and into the spokes causing (occasionally terminal) damage to the rear wheel. The furthest inboard the rear derailleur should be able to move is the point where the upper jockey wheel is sitting directly underneath the centre line of the largest sprocket when viewed from the rear. Make any adjustments to achieve this position with the set screw on the rear derailleur body marked ‘L’. 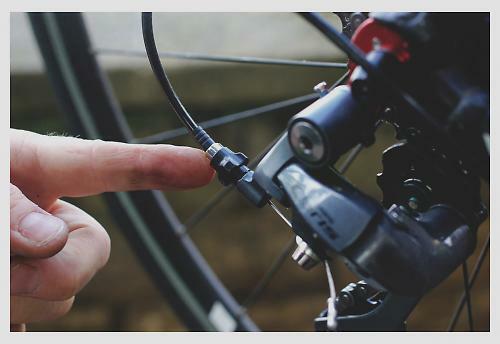 Use a cable puller (sometimes called a 'third hand tool') to pull the inner gear cable gently through the housing, making sure all sections of cable outer are located in their stops and that any cable guide grooves on the derailleur body are being correctly followed. 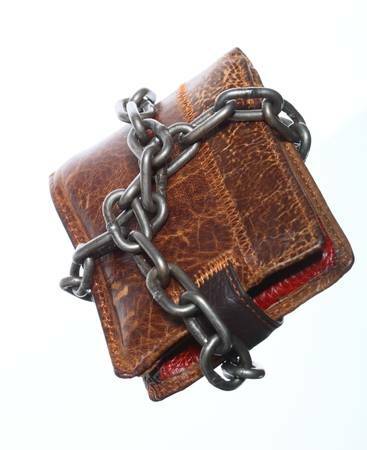 It’s the smallest things that can foul up indexing so take a second to be sure. You’re looking for just enough tension to take the slack out. As you make the adjustment, watch to see that the upper jockey wheel isn’t being pulled inwards from under the smallest sprocket. When the cable is free of slack and the derailleur and sprocket are still lined up, tighten the cable clamp bolt to hold the cable in place. Don’t over tighten the bolt – it's easy to strip threads and tear heads. Rotate the cranks. 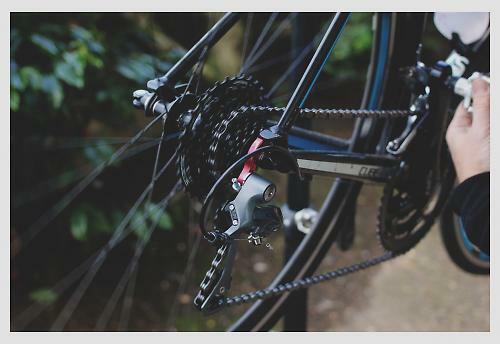 The chain should roll cleanly on the smallest sprocket and through the rear derailleur cage without catching or skipping. Now try the full range of gears one at a time. You can occasionally get the cable tension spot-on first time, but you'll usually have to make some fine tuning adjustments to the cable tension with the barrel adjuster. You're looking for one single click of the shifter to deliver one clean gear change. A single index click, which delivers a gear change that is slightly over or under shifting means the cable tension needs fine tuning at the barrel adjuster. Shift one gear from the smallest sprocket. The chain should move smoothly onto the adjacent sprocket. If it doesn't reach the adjacent sprocket, add a quarter turn of tension at the barrel adjuster (turn it anticlockwise). Similarly, if it shifts to the adjacent sprocket, but is making a noise as it tries to reach the third sprocket, you should release a quarter turn of tension at the barrel adjuster to remove the over shift (turn it clockwise). Whichever way you need to make adjustments, make them small; quarter turn adjustments are plenty. Continue until one click at the shifter delivers one clean (quiet, no skipping) shift to the adjacent sprocket. Ride the bike close to home and test the gears. Occasionally, freshly tuned gears can work faultlessly on the workstand, only to exhibit tuning small tuning niggles when on the road. Bikes with lots of sections of cable outer (including over or under length runs of cable), internal cable routes with funky stops, rear suspension or convoluted cable routing can all suffer in this regard. Make whatever remedial adjustments necessary. Good article. More like this please. Can anyone explain how to improving shifting via the "B" screw please? Honest feedback, that guide is impossible for those new to this to follow. Example: add tension by turning the barrel adjuster - fine I know you mean anticlockwise to make it easeir to get into a bigger cog (easier gear) but someone new to it doesn't! Your point about not overdoing the cable pull (by using pullers or pliers and pulling really hard before you anchor) is very good advice though. GCN and Art's Cyclery on YouTube have a great video each (GCN is good for explaining the concepts, Art's for the procedure incl b-tension screw). My advice is to go there to see it more clearly step by step. never forget about the b-tension screw. can make the shifting throughout your gears much smoother and crispier, when adjusted properly. Before doing any of this, you need to ask yourself why the gears are out of adjustment. I see a bike a day that doesn't have its wheels properly in the dropout - put the bike on its wheels and open and close both skewers and the wheels will often clunk back into the dropouts and gear issues will magically go away. But a very frequent cause of gear misalignment is a bent hanger. A small knock to the rear mech (eg parking bikes at your cafe stop) is enough to bend the hanger and ruin shifting accuracy. The cable stretching tool above is known as a 'fourth hand tool', not a third hand as stated. A 'third hand' tool is the strong spring on a handle which holds the brakes in the on position while you fiddle with cables. Quite right sir. Although, and this is first-hand knowledge, my third-hand tool happens to be second-hand. You could go a long way to improving this article with some better and more relevant photos: e.g. Show a close up photo showing what this looks like. Do the same for the for the limit adjustment for the large sprocket. Likewise for the B-screw. Quite right. Also, some hangers appear to be made of a material with all the integrity of warm mozzarella. One other thing not mentioned is cable drag. The cable routing of some bikes is like the Gordian Knot (mentioning no names, but they speak Canadian French to aero obsessives, another makes very, very big bikes & throws them & worst of all the 'highly rated' value bike from Daley Thompson's business with the err attractive name? They shift like dogs when new & rapidly deteriorate. With old, dirty cables they are hopeless! I think one thing to add is that it is uterly pointless to do this with the bike inverted. Why? I've never had any problems doing this. It's fine to buy a forth hand tool if you want but don't feel you need one. 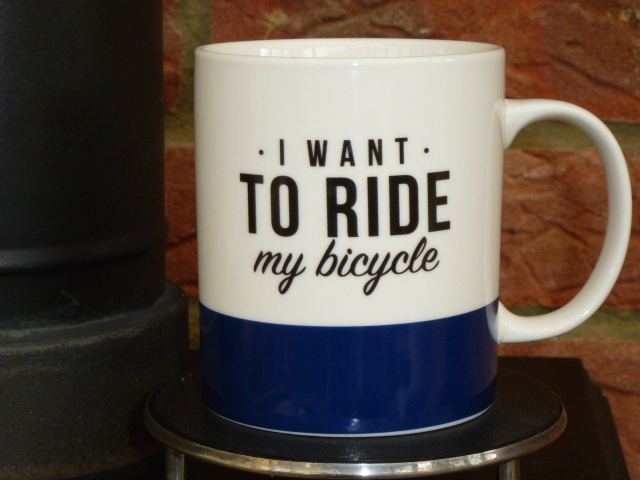 I've been working on bikes professionally since 1980 and have never used one. Same is true of the third hand tool. Once gears have been adjusted and settled in the most common cause of bad shifting is sticky cables, particularly in winter when the bike is getting sprayed with salty water. On many bikes you can slip the rear run of cable to the mech off its stop on the chainstay in order to lube it. Use something light and not sticky - GT85 is ideal. This run of cable is particularly vulnerable. Also where the bare the cable runs under the bottom bracket - keep this clean and lubed. I've found this to be a fairly quick way to get near where you want to be if you're starting on a bike that's completely out. GCN's change a gear and retension hack.